In this book, photography provides an artistic and documentary view of three of Le Notre's parks - Versailles, Sceaux and Saint-Cloud - as seen through the eyes of two photographers. 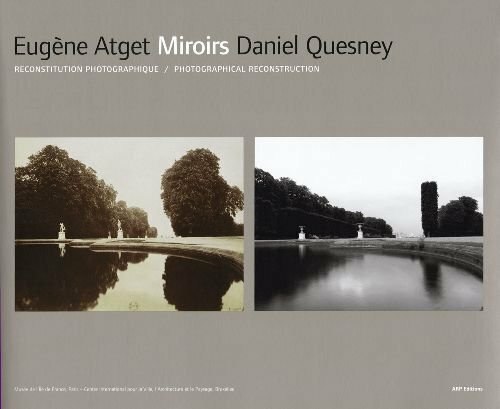 The photographs presented here are part of a project series by Daniel Quesney focused on reshooting vintage pictures taken by Atget at the beginning of the twentieth century. If Daniel Quesney obtained a radically different result despite all the reshooting constraints, it was due to the fact that not only had the landscapes changed over time but he was also imperceptibly recreating a different world. ...I wanted to work from vintage photographs yet avoid nostalgic effects and overly pronounced changes in the landscape. As part of the national heritage, these sites designed by Le Notre have been pretty well preserved. the stability of the photographed landscapes is what interested me at first, because I wanted the result to concern as much photography as landscape. Excerpt from Daniel Quesney's text.